HÀ NỘI – Experts have called on the Ministry of Finance to be considerate and transparent with their plan to spend the environmental protection tax applied on gasoline, which they have just proposed to double. The Ministry of Finance is drafting an amendment to the law on environmental protection tax. It suggests lifting the tax on gasoline from the current VNĐ1,000-4,000 to VNĐ3,000-8,000 per litre. Higher tax rates for other fuel products, such as diesel and fuel oil, are also proposed in the draft amendment. Should the new tax rate be applied, the price of gasoline will rise to more than VNĐ22,000 (roughly US$1) a liter, according to analysts. Some experts and lawmakers say the hike would hurt people’s daily lives and Vietnamese gas production. Trần Ngọc Vinh, NA deputy from Hải Phòng Province, said environmental protection is a necessary task, but protection the environment can’t be based on taxation. “Most people use personal vehicles when traveling to work, a hike in gasoline prices would be a burden for them,” Vinh said. Ngô Trí Long, former head of the Ministry of Finance’s Price Management Institute, said that the proposed ceiling rate is so high that it will surely affect the market in general, Long added. “Moreover, it’s irrational if the Government tries to collect tax to make up for budget mismanagement, and it’s absolutely a bad thing for the whole economy,” Long said. Previously, the Vietnam Chamber of Commerce and Industry expressed concerns about the negative impact the new tax rate will have on the economy. 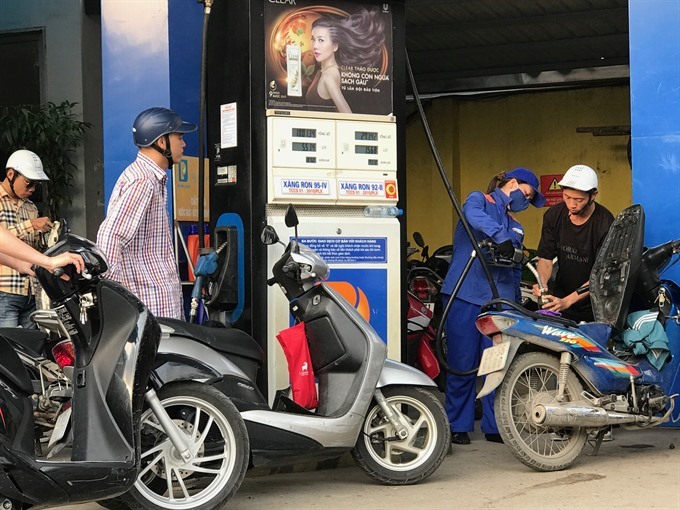 Đậu Anh Tuấn, head of VCCI’s Legal Division, said the proposed environment tax hike would hurt enterprises and the economy, since fuels are an important input for the transport, agriculture and seafood sectors. Phạm Đình Thi, director of the ministry’s Tax Policy Department under the finance ministry, said gasoline contains chemicals that adversely affect the environment. It is therefore subject to special consumption taxes and environmental protection taxes with different names around the world. However, Ngô Trí Long said the most important thing is transparency in spending the environmental protection tax revenue. “In 2016 the total collection of environmental tax was VNĐ40 trillion (US$1.7 billion) but we spent only VNDD10 trillion ($440 million). That means we haven’t used up the fund, why do we need to increase the tax rate?” he said. Moreover, he said the tax is often set as a percentage of a good’s price, but in this case the tax was set at too rigid a number. “That means that whatever the price of gasoline, the tax will always be VNĐ4,000, or VNĐ8,000. Why? It’s unusual,” he said. Nguyễn Quang Thái from the Việt Nam Economics Science Association, wondered about tax collection. “Will it stand as a separate fund or will it all go the state budget? If it is for the environment protection causes, it must be spent on the environment” he said. “This must be clear so that even if the tax is increased, people can still accept it,” he said, adding that he doubted that the National Assembly would pass such proposal. Responding these opinions, Thi, head of the Department of Tax Policies, emphasised the ratio of 1% budget collection spent on environmental protection was just direct expenditure, not including indirect expenditure. “The environmental protection tax is collected according to the State Budget Law and spent according to the State Budget Law, not that the revenue from the environmental protection tax is only used for environmental protection,” he said. However, such answer was not satisfactory to some. Bùi Thị An, an NA deputy from Hà Nội, said more information needs to be announced. “It’s necessary to say upon what foundation such tax figures were proposed. How much do we need to make the air clean? How specifically will these tax revenues be spent?” she said. An added that it has been more than a year since the environmental protection tax was increased from VND1,000 to VND3,000, but no report has been announced on the spending of those funds. Nguyễn Xuân Phương, a resident of Hoàn Kiếm district, said if the tax will be strictly and seriously used to improve the environment, then he’s all in for it.